Like people, dogs are what they eat. Save your dog a lot of suffering, and save yourself a fortune in vet bills, by learning the truth about your dog’s diet. Heavily-processed fast foods (burgers, fries, tacos, etc.) as a big diet component can cause major health problems in people. How can fast foods be good for dogs? Only dog food manufacturers think this nonsense makes sense. Dogs and people share roughly 75% the same genetic makeup, and we have similar nutritional needs. What we’re doing to our own health with processed foods, we’re also doing to our dogs. And it’s happening faster. Despite what you’ve heard from friends, vets and pet food manufacturers, wholesome ”people food” is good for dogs. People food is only bad for dog food makers. Veterinarians, like medical doctors, learn relatively little about nutrition in school. Much of what they do learn comes directly from pet food company vets, sales reps, articles, studies, and seminars. Dog food may legally contain “4-D” meat: meat from dead, dying, diseased and disabled animals. Add a little road kill, mill floor sweepings labeled as grain, and corn contaminated with high levels of pesticide (yes, really) and you have a recipe for ill health. The cheaper the food, the cheaper the ingredients, the worse the nutrition. Almost all dogs age three and over have dental diseases. Most of these dogs eat kibble. That should tell you something. Although a small study once suggested that kibble might clean teeth better than canned food, better doesn’t mean effectively. 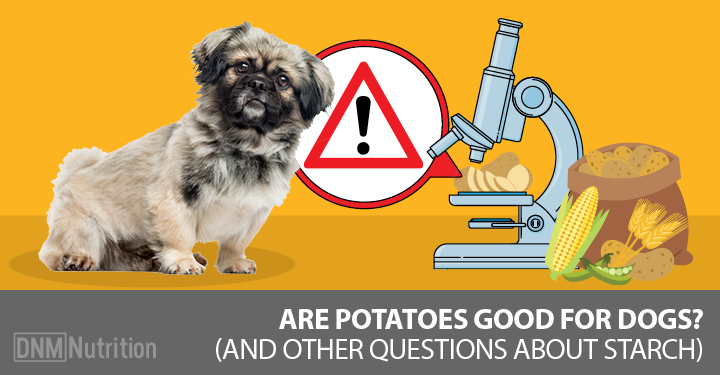 Hoping to avoid brushing our dog’s teeth, we too willingly grasp at kibble’s unsubstantiated health benefits. But pretending that kibble or hard treats will keep teeth clean will only lead to huge vet bills, lost teeth and much canine suffering. “Complete and balanced” means that a food meets minimal theoretical health requirements for the average dog. Food boasting that it conducted Feeding Trials often just test only the lead product in a line of foods. Trials, too, are for only a small number of dogs for a short period of time. Over time, nutrient and enzyme deficiencies are inevitable. Of course, complete and balanced is better than not complete and balanced, but again, better does not mean good. Nutritionists urge people to eat a variety of foods, both for improved nutrition and also to prevent allergies. Dogs need variety, too. But variety can cause gastrointestinal upset in dogs, right? In the short run, yes. Nutritionally-deprived animals have sick guts. In fact, intestinal upset when switching foods is a sign your dog needs more variety. Once good nutrition has healed a dog’s digestive system, the dog can eat different foods every meal — just as people do. Just switch foods gradually over several weeks while your dog’s gut heals. Kibble begins as a dry cooked meal whereas canned food is canned fresh. Kibble is exposed to more heat than canned (destroying nutrients). Worse yet, kibble is linked to kidney and bladder problems in cats, and to bloat, a deadly problem especially for large, broad-chested dogs. It’s also dehydrating. Of course, canned isn’t perfect either. Fresh is best, raw or cooked. Next best is frozen prepared food and then dehydrated and freeze dried foods, all available at better pet stores. Cooked bones and rawhide chews can cause major health problems requiring emergency surgery. Onions, grapes, raisins, chocolate, the article sweetener Xylitol and other common foods can be toxic for dogs and must be avoided. Most kibble is loaded with corn, a cheap filler. Unfortunately, the corn isn’t the luscious kind you and I eat. It’s feed corn (like cattle eat), or cheap feed corn remnants. Even corn meal dust counts as corn. The corn may even have been condemned for human consumption, there being no upper level of pesticide contamination for pet foods. If that weren’t bad enough, corn (which gives us both high fructose corn syrup and corn oil) is fattening. Any wonder so many dogs are obese and suffer from diabetes? Check out the two chapters in my book, Scared Poopless: The Straight Scoop on Dog Care. (Read an excerpt about dog food myths.) And check out Dog and Cat Food Labels: Marketing Tricks That Cost You Money and Dog Food: What to Feed and Why. Titers: What Do They Mean? What’s Premack Got To Do With Dog Training?